The Scaly-headed Parrot is also known as Maximilian's Pionus. It is a popular pet bird, known for its long lifespan (40+ years! ), easygoing personality, and intelligence. This is our totally cute Birdorable Scaly-headed Parrot! You can customize this gift! Move the pionus around, change the product color or style, add text or images -- make it your own! 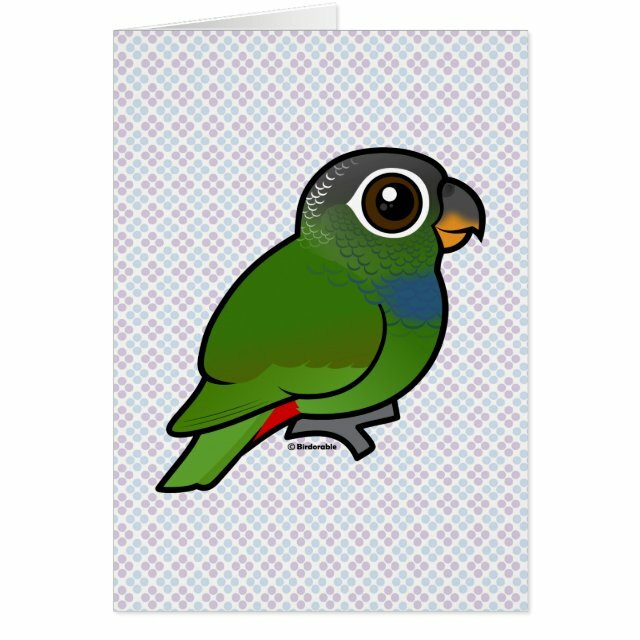 If you'd like to see the Birdorable Scaly-headed Parrot on a different product not currently available, please send us a message and we can make the product available in our store. Stay in touch with Zazzle custom note cards. Customize all parts of this folded card – front and back, inside and out – for free! 4" x 5.6" (portrait) or 5.6" x 4" (landscape). Printed on ultra-heavyweight (120 lb.) card stock with a gloss finish.